“If a lion could speak, we would not understand him.” —Ludwig Wittgenstein A modern and unconventional tale of creation and life force, Wild Things is a tribute to all that remains untouched by human civilization. 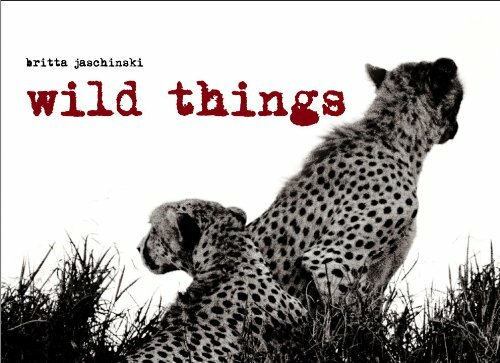 Openly declaring her love for the wilderness and its inhabitants, Jaschinski celebrates the natural order of the earth’s habitats and apologizes to the animals for the havoc wreaked by the dominance of human nature. From the cheetahs, giraffes, and elephants of the wide open plains to the polar bears, whales, and seals of the open seas, Jaschinski’s subjects alternatively explode off the page with anger or retreat with sadness at the impending threat of extinction. Juxtaposed with evocative land and skyscapes, her portraits of these amazing animal populations underline the beauty and fragility of our earth’s ecosystems. Exquisitely produced with Japanese binding, Wild Things is a lovingly rendered visual poem raising our awareness of the importance of leaving what existed before us as it was intended.